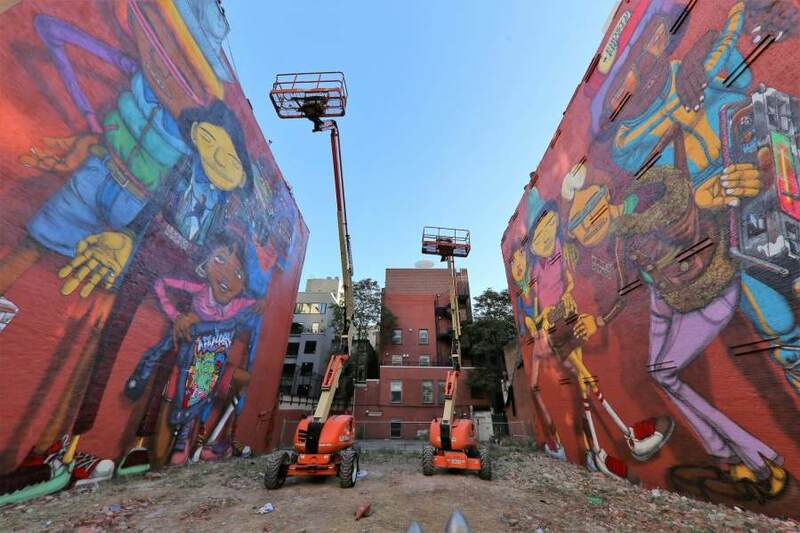 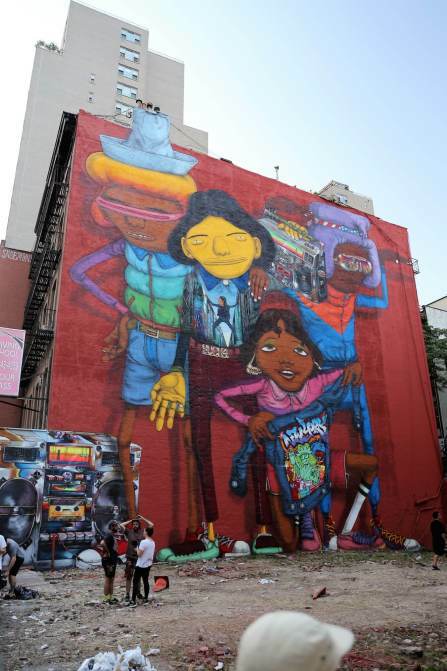 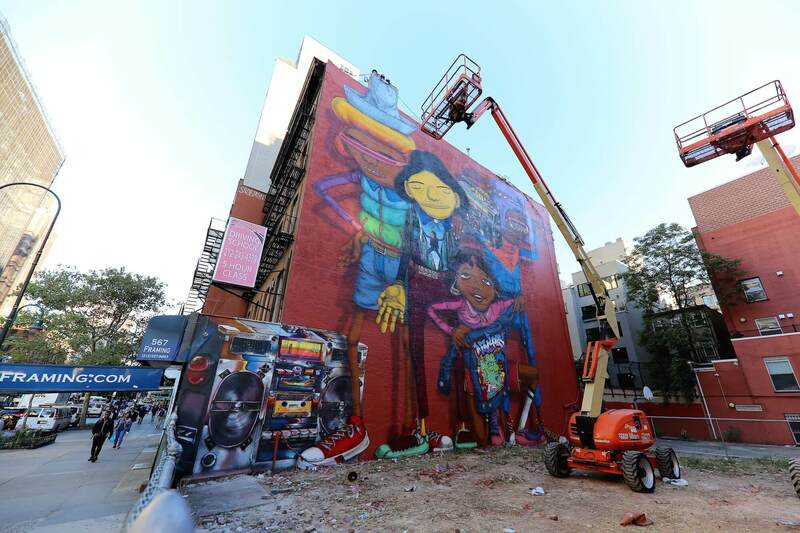 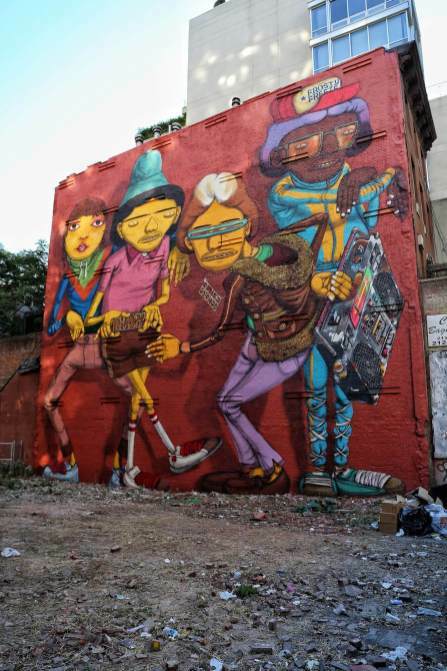 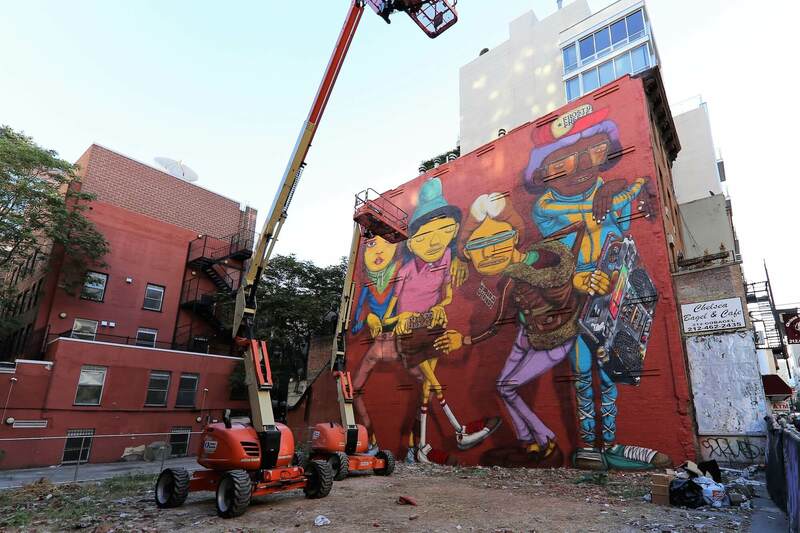 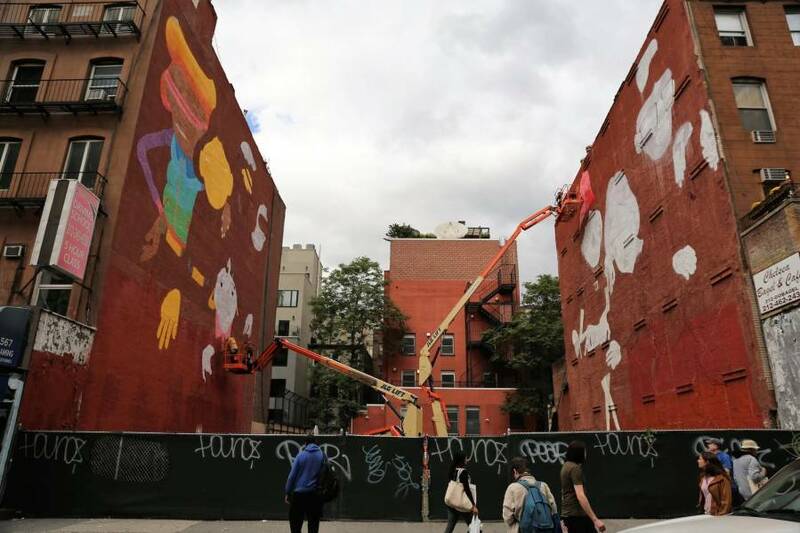 The brazilian Twins OSGEMEOS just finished a new work in New York City, by no surprise it´s huge and shows their iconic yellow figures, this time as b-boys and b-girls in tracksuits, converse, and Glide Master medallions with Ghettoblasters. 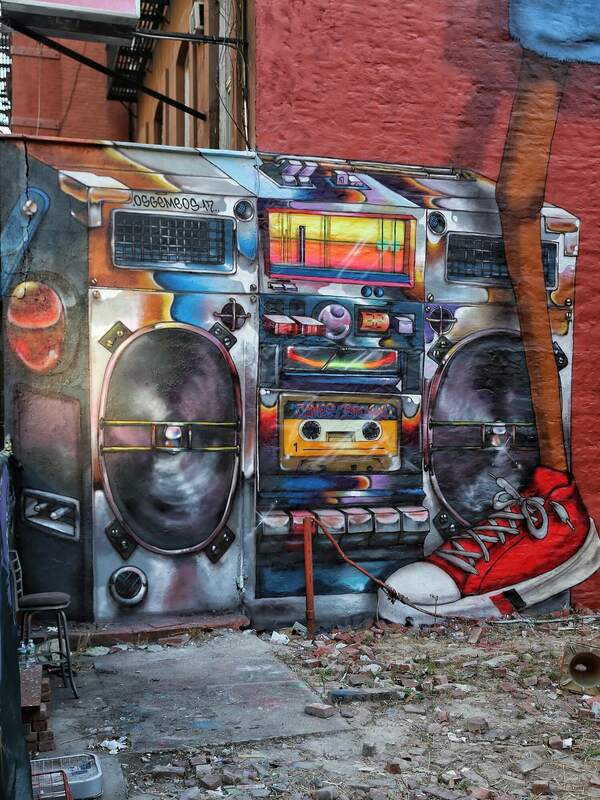 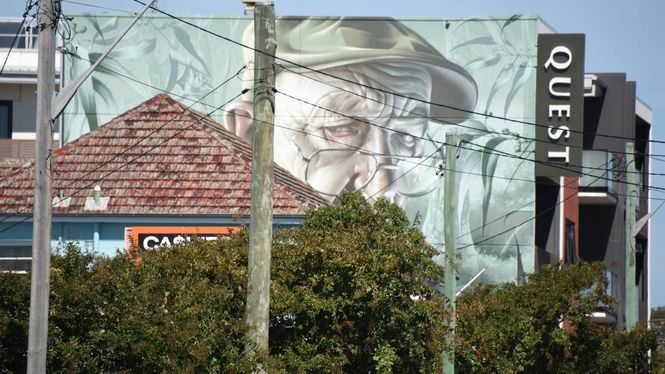 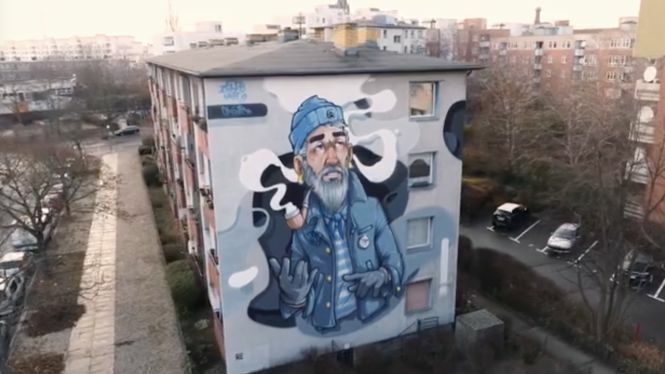 I believe it´s an homage to something, but not quite sure if this is dedicated to the New York graffiti culture in the early 80´s in general or the both simply paying tribute to some important pioneers back then. 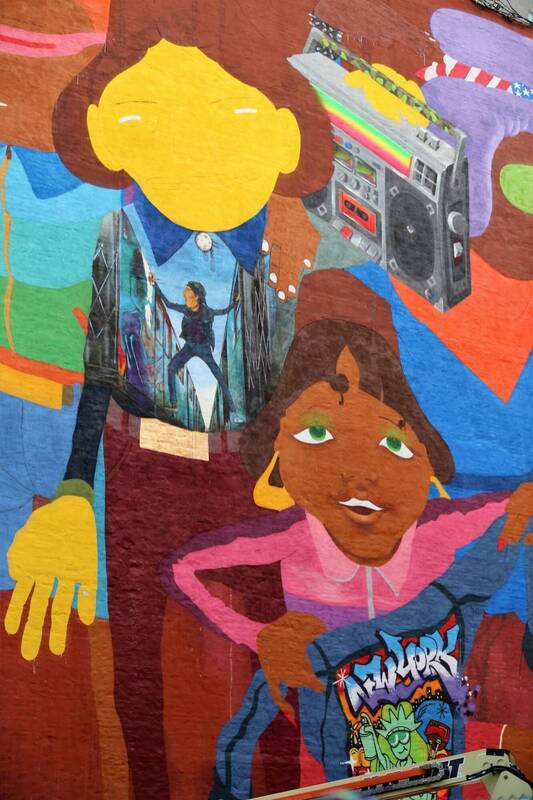 The two walls facing each other showing bboy scenarios with Frosty Freeze and Kuriaki of the Rock Steady Crew, James Brown is in there, a shirt with a Dondi tribute, taken from a photograph captured by photographer Martha Cooper. 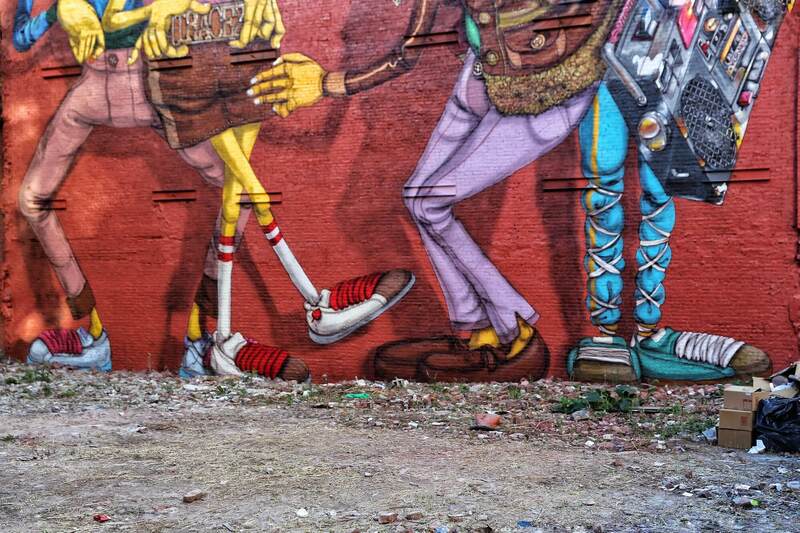 My highlight on this wall is the denim jacket feature by Todd James aka REAS.